M14 mag wedge. 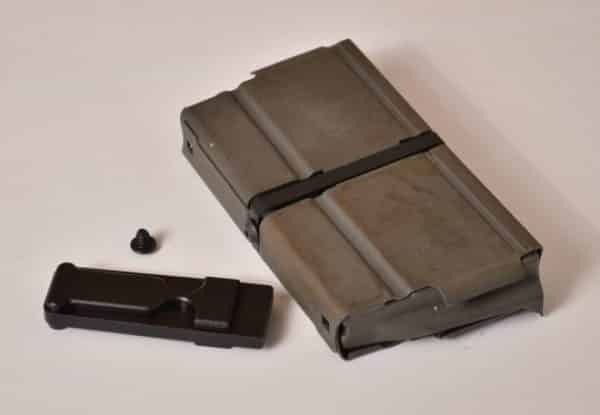 Joins two M14 mags together to give you better leverage for insertion and removal from mag well; high quality aluminum with black finish. Particularly good for joining two 5 round magazines. May also be used as a mag base in the case of a single mag. 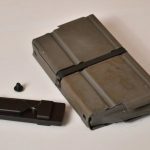 MagWedge M14 Magazine Coupler – Joins two M14 mags together to give you better leverage for insertion and removal from mag well; high quality aluminum with black finish.